Today’s England vs India is the 3rd and last T20 game of the tour. You can watch live cricket match today online via the official broadcaster’s portals. The live streaming will be made available by them on SonyLIV (site and app), Hotstar, and telecast will be on Sony Six network tv channels. As of now (before this match), the series is tied with both the teams winning one game each. India national cricket team won the series opener but lost the second one. Now, it’s the do-or-die match for both the teams. Whichever team wins this particular match will the series. 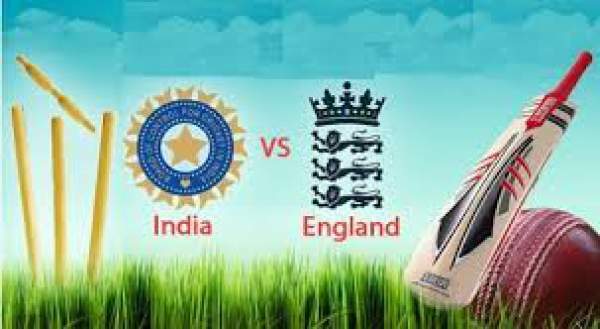 The India v England 3rd t20 match will start at 6:30 pm IST with live telecast/broadcast on Sony Six and Sony Six HD. The venue set for this battle is County Ground located in Bristol. This T20I series will then be followed by ODI and Test series on this tournament to England. We have got to see the level of competitiveness between the two teams. Bristol has a spin-friendly track where Indian bowlers especially Kuldeep and Yuzvendra would be there to make the most of this opportunity. They did find some support from the pitch in Cardiff. Hales scored an unbeaten 58 which in turn made England victorious by five wickets on Friday and defeated India. The Indians won the first one by 8 wickets. For now, the series is leveled at 1-1. Today’s match will decide the fate of both the teams. Pakistan has beaten Australia in the Tri-Series in Zimbabwe. So, Pak stays at the top of the table with 132 points. Australia has dropped from 126 to 122 points. If India wins today, it will move to 124 points else to 122. If England wins, it will move up and reach to 121 points. In this scenario, Australia, India, and England will be apart by just 2 points. Indian spin-duo faces its first real challenge after around a year. Be it Sri Lanka, Australia, New Zealand or Australia, none were able to fire back just after drubbing. England’s batsmen have bounced back in real quick time. Next articleAir Gear Season 2 Release Date & Updates: Will It Ever Happen In Future?